Come out to Bennett Day School to rock in the new school year with Chicago’s very own Little Miss Ann. 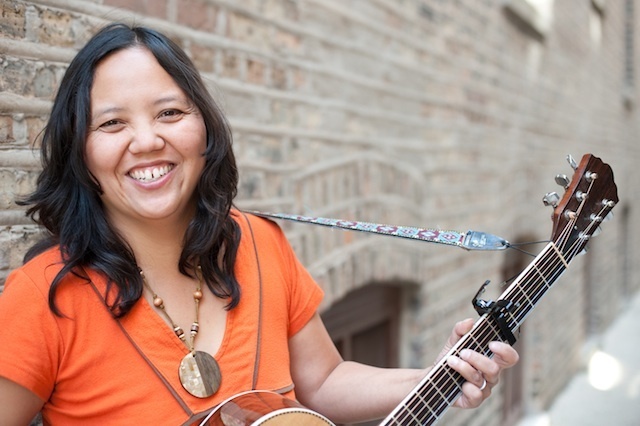 Little Miss Ann is an award winning kids musician, a former Chicago Public School teacher, and a veteran instructor at Chicago's Old Town School of Folk Music. She has made 5 kids CD's and has received a Silver Parent's Choice Award and a NAPPA for her music. Little Miss Ann and her band have brought their down-to-earth, yet upbeat, interactive and energetic performances to Millennium Park, Old Town School of Folk Music, SXSW, Lollapalooza, Pilgrimage Music Festival outside of Nashville, TN, 92Y Tribeca and Brookfield Place in NYC, Overture Center, Strathmore Theater, and more. All attendees must register ahead of time. Space is limited.